Pranayama is Sanskrit प्राणायाम (prāṇāyāma) and means ‘control of energy’ or ‘expansion of energy’. Pranayama is one of the eight limbs of yoga which were systemically compiled by Patanjali (circa 200 B.C). Prana is the bridge between body, mind and consciousness. The inner movement of prana is the movement of consciousness, thinking, feeling and emotions. Ayurveda says that breathing is the physical part of thinking and that thinking is the physical part of breathing. Every thought changes breathing rhythm and every breath changes thinking rhythm. Scientific research in the West confirms the yoga teaching that the relationship between breathing and emotion is reciprocal. When someone is happy, joyful and quiet the breath is rhythmical. When someone is worried, afraid or nervous his/her breath is irregular and interrupted. Old vedic seers (rishi’s) discovered the intricate relationship between breath and mental activity and unveiled the art of pranayama. 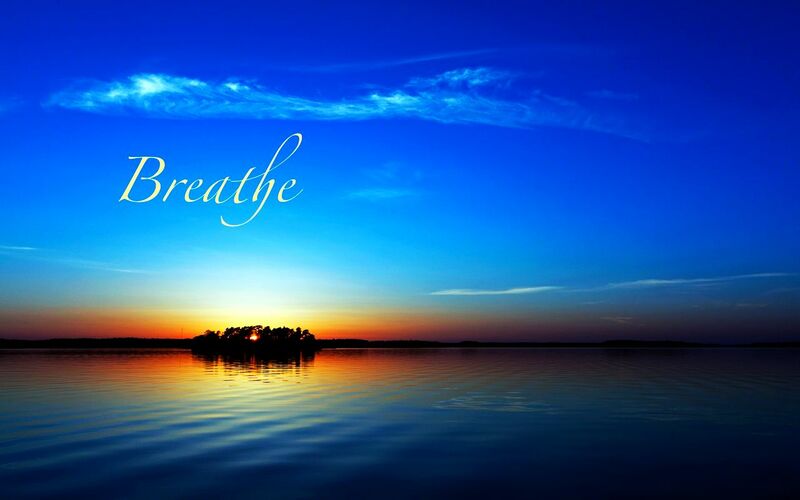 By controlling our breath, we can control our mental activity. The rishi’s discovered also the close connection between left and right brain hemisphere. You might have notice that breathing through one nostril goes easier that the other and then shifts to the other nostril after a while. This shift in breathing from one nostril to the other occurs every 45-90 minutes. Like the left side of your body is ruled by the right brain hemisphere and vice versa, breathing through the left nostril is better in activating the right brain hemisphere and breathing through the right nostril is better in activating the left hemisphere. The left hemisphere represents the male energy and the right hemisphere represents the female energy. The left hemisphere stands for logical reason, investigation/analysis, aggressiveness, competition and judgement. The right brain hemisphere stands for love, compassion, intuition, art, poetry and religion. The secret of pranayama is the secret of dealing with the female and male energy which cooperates in our central nervous system. During the exercise nadi shodhanam (alternate nostril breathing) we alternatingly breath through the left and right nostril and thereby activate right and left hemisphere respectively. When yogis perform this breathing exercise their male and female energies become balanced. When these energies are in balance neutral energy occurs and one can experience pure consciousness, which is referred to as Brahman. Each breath does not only inhale oxygen but also prana. Prana is the cosmic energy that creates, preserves and changes. This is the fundamental element of life and consciousness. Prana is found in food as well. Therefore, eating fresh, healthy food is important to increase prana and thus live a healthy and happy life. Conscious guidance of prana in the body leads to increased vitality, physical strength, proper detoxification and excellent immunity and moreover leads to peace of mind, a relaxed state and mental clarity. Our ability to deal with stress has an impact on how we age. A Harvard Medical School study of 1,623 heart attack survivors found that when subjects became angry their risk of further heart attacks doubled compared to those who remained calm. In a study of 5,716 middle-aged people, those with the best self-regulatory abilities were 50 times more likely to be alive and without chronic disease 15 years later than those with poor scores on measures of self-regulation. Breathing is the only autonomic function easily controlled through voluntary effort, allowing correction of imbalances in the stress-response system. Modern science states that the length of a person’s life is determined by the number of breaths. Yogis try to ‘conserve time’ and extent human life time by slowing down the breath. Quality of life is for most people of higher importance than longevity. A major factor in quality of the life is the quality of mind. Stress, overstimulation of senses, excess of expectations and mental turmoil drain our (life)energy and happiness. Yoga practice and spiritual practice offer the way to achieve joy, peace and happiness in life. Unfortunately focussing of the mind is hard for people practicing yoga. Starting with breathing exercises shows immediate effects and is superb preparation for deeper meditation.